Keystone Pipeline is at the Forefront but Tar Sands Oil is Already in the U.S. Recently, there was a victory for environmentalists and anti-Tar Sands activists. Instead of letting the big oil companies push the permit through, President Obama and the State Department sent the Keystone Pipeline proposal back for a thorough independent re-review. Now, the Keystone Pipelineis back on President Obama’s desk for immediate decision. We sent a clear message to the White House so what’s next in the anti-tar sands movement? While, Congress battledthis out in Washington, just like business as usual, Tar Sands oil IS already being refined in US refineries. Don’t be fooled. Just because the oil companies hit a snag in their fast-tracked plan to send 900,000 barrels of heavy crude DAILY from Canada all the way to Texas, doesn’t mean they weren’t successful in getting Tar Sands oil into places along the Canadian/US border, like Detroit, Whiting and Toledo. Refining tar sands heavy crude oil is far more environmentally destructive, producing two to three times more carbon than conventional oil and using vast amounts of fresh water to extract. So while the residents living along the proposed pipeline route might be able to breathe a little easier, the fight is not over for the communities living on the fenceline along the US/Canada border. Global Community Monitor has been working with communities living on the fencline of oil refineries for over ten years so it’s no surprise we were ready to go and jump started the campaign with a recent trip to Toledo, Ohio in order educate the local community about tar sands and how it will affect them locally. BP/Husky, located in Toledo, OH is slated for a $2.5 billion expansion, but has not made public a date and time when the tar sands expansion will happen. Even if we do win, and the Keystone pipeline is defeated, we still need to work to stop tar sands oil from and to protect communities like Toledo, OH, Whiting, IN and Detroit, MI. Why should those communities live with the increased risk of reproductive harm, cancer and other diseases while the oil companies rake in big profits? These families are already overburdened with toxic emissions from the polluting refinery next door, it would be an extreme injustice to even think of expanding it to create even heavier toxic emissions. Just days after hundreds were arrested in Washington D.C. for protesting the proposed Keystone pipeline, nearly a hundred people perished in a pipeline explosionin Nairobi, Kenya. What costs are we willing to tolerate? Pipelines can be dangerous when poorly maintained. We saw that in San Bruno last year. Responsibility fell solely on PG&E for poor maintenance, yet PG&E is still trying to hold rate-payers accountable by hiking rates for upgrades needed to meet safety regulations. 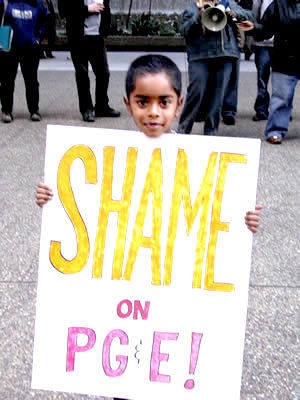 Although PG&E already made $10million in rate hikes in 2007 and 2009 designated to repair the exact pipeline which had already been identified as ‘high risk’. AND, currently, they are still positioned to turn a profit on the San Bruno pipeline explosion. But, accidents like San Bruno are not isolated to one horrendously mismanaged energy company. 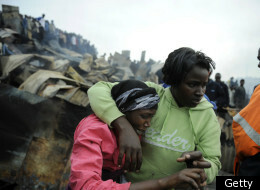 Almost a year after the San Bruno explosion, a pipeline ruptured in Nairobi, Kenya. It occurred in a slum, where many people live right next to an exposed pipeline. This caused an instant inferno with limited escape. Emergency personnel couldn’t even reach the scene in a timely manner due to poor road access that is often seen in low-income areas. This environmental injustice and lack of safeguards plague low-income communities around the world. While residents from countless communities are fighting for their safety through stricter regulations, energy companies in North America are spearheading a new pipeline to run from Canada all the way to Texas in order to carry tar sands heavy crude. Does anyone think we are really moving in the right direction? How can we safeguard human health along pipeline routes, is it possible? 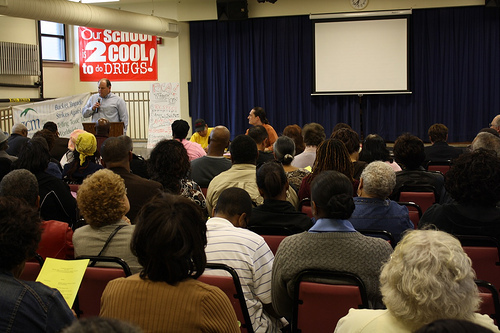 Detroit: Benzene in the Sewers…. Really?!? A recent US EPA investigation in Detroit has resulted in more questions than answers. Late last year, Detroit resident Adrienne Crawford was shocked by an intense chemical smell permeating through her home on Pleasant Street. Awoken in the middle of the night, choking on fumes, Crawford took an air sample in November 2010. Her sample revealed a toxic cocktail of 20 chemicals at 1,000 times above the safe limit! Chemicals detected included cancer causing benzene, toluene and hydrogen sulfide. Crawford’s heartfelt appeal on TV news was seen by Marathon Oil. Marathon employees came out to Crawford’s home in early January to investigate the situation. Marathon brought an entourage with industrial air monitors and plumbers. Marathon inspectors found no chemicals in the air. Days later, US EPA launched an investigation prompted by Crawford’s toxic air sample. The US EPA discovered that Marathon Oil shares a sewer line with the City of Detroit (read: Detroit residents) resulting in Marathon’s industrial waste water mingling with municipal waste. Marathon’s waste water can be filled with chemicals like benzene and hydrogen sulfide, chemicals both associated with petroleum production. US EPA developed a flyer alerting residents of the possible chemical exposure that could be the result of broken sewer traps in basements. US EPA is also testing the air in 61 homes north and south of Pleasant Street along the sewer line as well as the outside air. It is unclear who is actually taking the samples-the Agency or Marathon Oil consultants. Marathon, the large industrial polluter that registers thousands of pounds of these toxic chemicals, is responsible for fixing the broken sewer traps and for and possibly for air monitoring. After digging up Crawford’s basement and providing a seal, Marathon has deemed her home “safe”. Marathon even provided chemically impacted residents with an informational brochure about indoor chemical exposures. This flyer details information about chemical exposures from cosmetic products, carpets and lawn mowers. We would like to end this blog entry with a nod to this Saturday Night Live skit. Really, Marathon, you sent out a flyer telling people that the chemical exposure is coming from a lawn mower? Really? How many lawn mowers would it take to compare to the amount of gasoline that is being stored and produced at your oil refinery? Really, Marathon, you don’t have enough money to have your own sewer line to the waste water treatment plant? Really? Because facilities your size usually have their own waster water treatment plant on site and do not share with their residential neighbors. Really, US EPA, you are letting Marathon, the polluter, do the air monitoring and fix sewer traps? Did you ever think of maybe consulting with a third party that the residents trust? You are allowing a woman to reside in a home that has shown serious benzene exposure because Marathon, the polluter, said it was ok. Really?!? The residents of Detroit deserve better. Not only are they breathing bad air, they are also getting a lot of hot air from the agencies that are supposed to be protecting them. Returning from a recent trip to Michigan, I keep mulling over the shocking devastation that is Southwest Detroit. 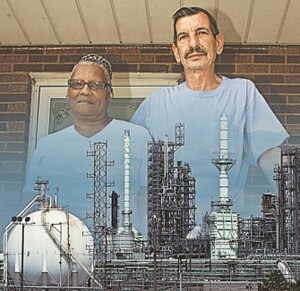 Years of environmental racism are taking their toll on this 10,000 family community. In a five page, two day, news spread in the Detroit Free Press, 48217 was recently deemed the #1 most unhealthy ZIP code in the entire state of Michigan. Cancer and asthma plague this area that is surrounded by an expanding oil refinery, steel mills, a sewage waste incinerator, salt mine and littered with secondary chemical plants. The pollution problems did not happen overnight. Regulators have been asleep at the wheel for over 20 years. Michigan Department of Natural Resources and Environment (formerly the Michigan Department of Environmental Quality) has cut their industrial and investigating staff from 50 to 10. The agency complains about budget cuts, but has not raised fees on industry since 2001. Zoning changes and industrial expansions have put the neighbors and industry in a way too close for comfort distance – across the street from each other. Residential areas are thrust against an area zoned for the heaviest industry. There is a constant chemical stench in the air. Detroit is a city in deep, deep trouble. It’s everywhere: blighted buildings downtown, crime and high unemployment, auto industry in a tail spin – you name it – it is depressing. With all this going on, it’s not hard to miss the plight of 10,000 families in Southwest Detroit, where neighborhoods are squeezed in between huge rusting industries, freeways and bridges. For decades these folks have cried out for a halt to more and more industrial pollution as they witness more and more residents becoming ill and dying at an alarming rate from cancer, lung disease and heart conditions. But those cries have gone unheeded by City and State officials, who have maintained that everything is okay because the plants are in “compliance” with their air permits that regulate pollution. Well, that causes the Air Hugger to pause and contemplate the compliance mentality of environmental regulators. What is compliance and how do we measure it? It seems in Detroit, compliance is really determined by those who control how pollution is measured. In the US we rely largely upon polluters to measure and truthfully report their own compliance – a fact most people don’t realize until they are caught in a situation like the Southwest Detroit families. If regulators gets wind of possible failure in this ‘fox guarding the henhouse’ policy, they might pick up the phone or even, once and a while, go see for themselves. But they still rely largely upon the polluter for information. For example, as the Air Hugger has pointed out before, air pollution complaint staff in areas like Detroit carry no air testing equipment other than their noses. And the state air agency doesn’t require the placement of stationary air monitors at the fenceline between industry and neighbors, so when an errant factory tosses toxic garbage over the fence into the community – there’s no proof it happened. That’s why in places like Southwest Detroit, being in compliance is a piece of cake for noxious polluters. But residents are fighting back now, carrying their own air monitors and catching the trash industry is heaping over the fence. Local “Bucket Brigade” members trained by GCM have busted a local steel mill for releasing into the air lead laden dust that is coating the community on a daily basis. Communities have developed methods to monitor pollution coming from facilities and are gathering more meaningful data than regulators or polluters. And residents are bringing regulators into their polluted neighborhoods to use air sampling data to prove that being in “compliance” is not enough to protect the health of residents and, in some cases, completely misses the mark. On April 16, 2010, residents of SW Detroit and Rhonda Anderson of the Detroit Environmental Justice Office led Alan Walts and other senior Region 5 EPA officials on a Toxic Tour of the area. Aided by real time monitors by Picarro and Argos Scientific companies (which reveal toxic pollution as it happens), EPA officials were able to see via Google Earth huge spikes of air pollution as it cascaded over industrial fencelines and into nearby neighborhoods. Later that night more than 200 people jammed a local church to see the results as well. The large crowd let out a collective gasp when they saw their community surrounded by spikes of toxic releases. This is the same community where regulators are saying that everything is okay because polluters are in compliance. Residents are now demanding that EPA and state officials start measuring compliance using high tech equipment and community Bucket Brigade tests, not just limited self-reporting by industry. They are tired of being told that everyone is in compliance, when injustice is so blatant. They’ve realized that if compliance is measured by polluters, the result will continue to kill them.